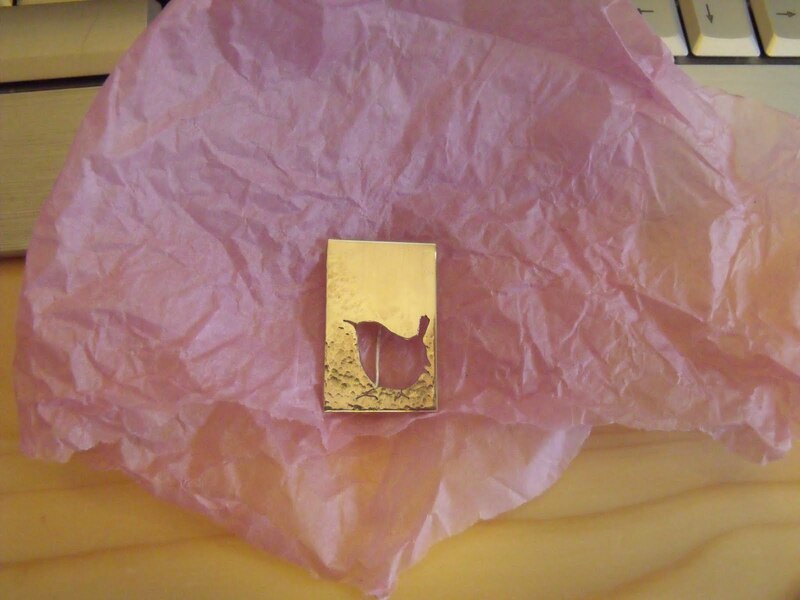 A little brooch I made to accompany my friend and jewellery-sensei Robin on her move up to E’burgh. It’s not a robin though, it’s a wren! Made from .9mm sterling silver sheet, it feels very heavy and luxurious, and I was delighted with how well the partial texturing came out. Thick sterling silver, partial hammered texture and pierced wren.